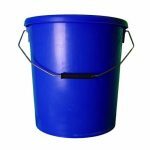 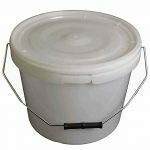 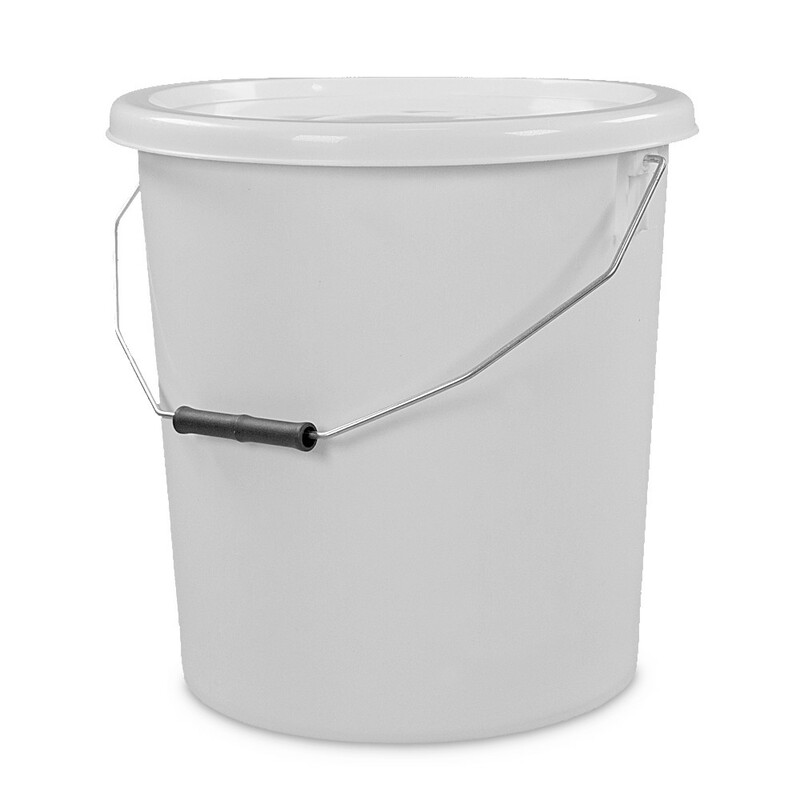 Strong 16 litre white plastic bucket with standard plastic lid and metal handle. 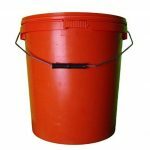 Tough, sturdy and stackable, these containers are perfect for warehouse storage and transportation. 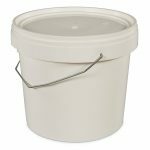 Food-grade plastic means it is suitable for storing edibles and other sensitive products. 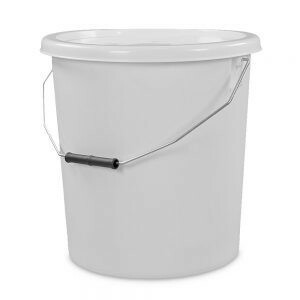 These plastic white buckets are one of our best sellers due to their strength, versatility and strong handles.